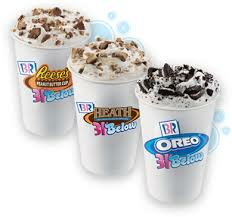 Print a coupon to Buy One Get One Free for “31 Below”, it’s Baskin-Robbins newest creation with vanilla soft-serve blended with your favorite candies, cookies, and toppings. This coupon expires on June 21. Don’t forget that teens get a free Baskin-Robbins soft-serve cone when they sign-up for a free membership with DoSomething.org. Made especially for teens, DoSomething.org believes that teenagers have the power to make a difference by volunteering. You’ll get a printable coupon on July 13 that can be used anytime between July 13 and 17. Want free ice cream for your birthday? Join the Baskin-Robbins Birthday Club here. And find more free ice cream for your birthday in Happy Birthday Freebies 4 Families. Holy cow! 930 calories for the SMALL 31 Below. Yikes!